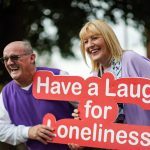 Comedian and actor, Brendan O’Carroll, and his wife and co-star, Jenny Gibney, are calling on the public to ‘Have a Laugh for Loneliness’ in aid of ALONE, the charity that supports older people to age at home. The campaign encourages people to host social events for family, friends and neighbours, to raise funds to support ALONE’s services. The Irish Travel Agents Association (ITAA) has welcomed the news that Lee Travel have acquired Heffernan’s Travel, which announced it was entering liquidation on 3rd October 2018. Directed by Ross Whitaker (Unbreakable: The Mark Pollock Story), the film which picked up the Best Irish Feature Documentary award at the Galway Film Fleadh earlier this year intimately follows champion boxer Katie Taylor as she attempts to rebuild her career after a year of turmoil threatened to derail her career. With many writing her off, Taylor decided to start again, and the notoriously private champion agreed to let a small crew document her attempt to rescale the heights. 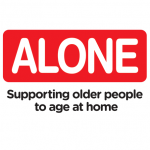 ALONE, the charity which supports older people, is urging older people to take extra care following the status orange weather warnings by Met Éireann as Storm Callum is expected to hit Ireland later today. Strong winds of 130km/h and coastal flooding are expected in parts of the country. Slattery’s Pub, situated on Grand Canal Street Upper, Beggars Bush, officially boasts the Best Bar Person in Ireland – and worldwide. 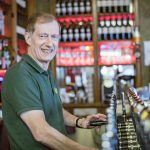 Veteran barman, Pat Dempsey, was crowned by the Irish Pubs Global Awards in Galway on Tuesday evening. 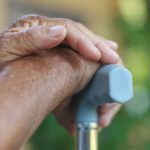 As today marks World Mental Health Day, ALONE, the charity that supports older people to age at home, is urging older people to reach out and talk if they are in need of support surrounding loneliness and mental health. 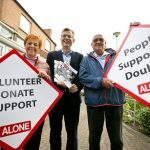 ALONE, the charity that supports older people to age at home, has welcomed the increase to the state pension announced this afternoon as part of Budget 2019, but has stated that further Government action is needed to support Ireland’s older people. The Irish Travel Agents Association (ITAA) has noted that as of Wednesday, 3rd October 2018, Heffernan’s Travel has ceased trading. Smithfield Square will play host to a day of live music and performance as the Busker Fleadh returns for the 3rd time from 12pm to 5pm on Sunday 7th October. 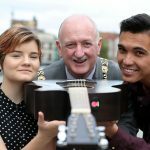 Brought to you by Dublin City Council, this free event is a great opportunity to appreciate the unique nature of independent music and ensures there is something for every music lover to enjoy.